This entry was posted in Events, Fall, Holiday Style Inspiration on November 27, 2015 by Jalpa. I am so thankful for you! Thank-you for all your love and support this year! This entry was posted in Events, Holiday Style Inspiration on November 26, 2015 by Jalpa. This entry was posted in Events, Series and tagged bloger events, summer style on June 18, 2015 by Jalpa. 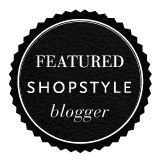 This entry was posted in Events, Style and tagged authentic noise, Blogger party, event, spring, style in the city on May 19, 2014 by Jalpa. Last month I went to my first Poshmark party and had the best time. The party was over-flowing with style inspirations. 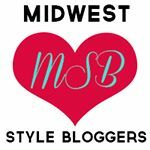 I met so many fun people such as the stylish and beautiful Megan from Stylish and Scatterbrained. Be sure to check out her blog. She is currently showcasing some amazing fall trends and featuring a Phillip Lim giveaway (Oh yay!!!) We decided to meet up for a coffee date recently and come up with new creative blog post ideas. Stay tuned! I also met the lovely and talented Amanda Boleyn from ‘Bo knows best‘ recently. We hit it off instantly with our like-minded ambitious ideas and plan to start our personal ‘Think Tank’ soon. Super excited. Lastly, the most fun event of the year is going on right now – the Indian dance festival called Navratri, which originates from the state of Gujarat (the state I am from in India). I love it. Back in India the festivities including the gorgeous outfits and late night dancing extravaganza goes on for 9 days continuous. Here in the Chicago area, the celebrations tend to happen every weekend for almost 2 months (Yay more dance nights). It is a perfect girls night where you can adorn your fanciest clothes and dance the night away. You can guess, I am a little obsessed with the super fun Garba (that is the name of the dance). Have a happy wednesday! Thank-you so much for reading! Kisses. This entry was posted in Events, Interests, Relationships, Style and tagged garba, life lately, poshmark, sp updates on October 9, 2013 by Jalpa. This past Saturday, husband and I took part in the EPIC Tomato Blast held in Chicago. It was one of the craziest most fun event. Such a great day with friends, tomatoes which turned into a ground full of tomato sauce at the end of the event. This entry was posted in Events, Interests, Series and tagged chicago 2013, epic, summer fun, tomatina, tomato blast on July 28, 2013 by Jalpa. Hope you had a wonderful 4th of July. Here are some of my favorite parts of the day. This entry was posted in Events, Interests, Style and tagged 4th of july, anthropologie, beach, Hair band, marshalls, target, yellow bag on July 4, 2013 by Jalpa. Yesterday, I did the happiest 5K on the planet with my husband and friends. The Color Run. It was super fun. Here are some of the highlights. This entry was posted in Events, Interests on June 17, 2013 by Jalpa.